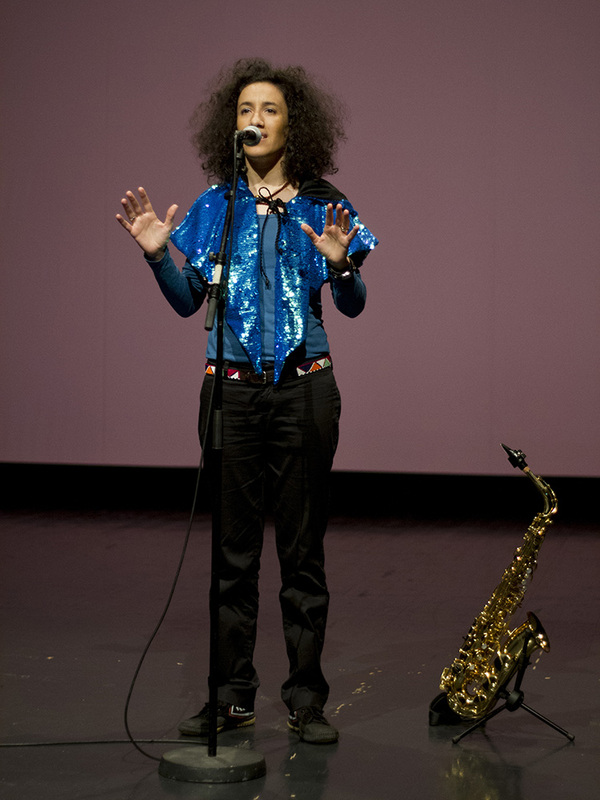 A spoken words solo with a breeze of saxophone, using a broad emotional range to express a strong social message. A diasporic journey from Berlin to Brooklyn, wandering through the tensions, tenderness and temporalities of queer of color being and belonging. "What a gifted, multitalented writer and performer! Absolutely brilliant and inspiring." Layla Zami is a Resident Artist with the dance company Oxana Chi & Ensemble Xinren. She appears in several productions as a musician, actress and interdisciplinary performer. 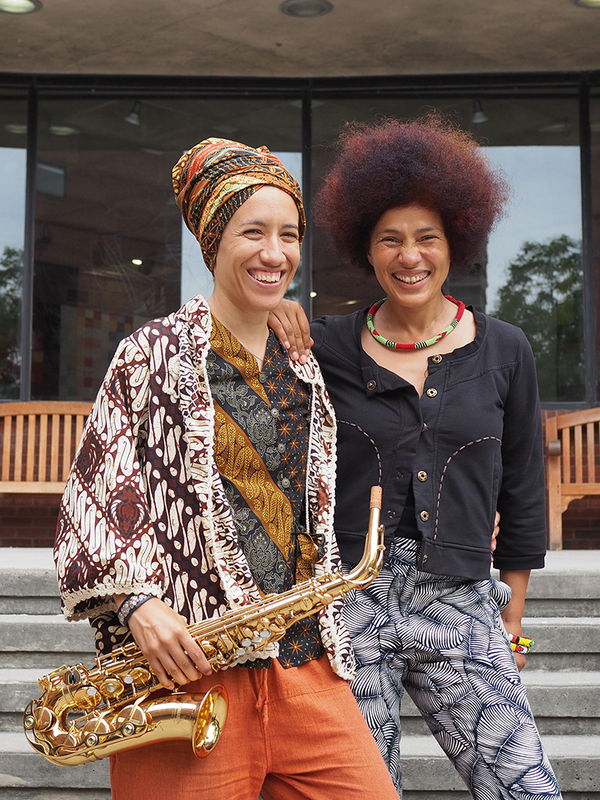 A duo between a body and a saxophone, blending European classical influences and Afro-diasporic rhythms. The music is entirely composed, improvised and interpreted by Layla Zami on the saxophone, with occasional use of loop technology. Developed in 2018 at the Abrons Arts Center with the support of a 2017-2018 AIRspace Grant for Performing Artists. "We were entranced by Oxana's dance and Layla's music! Thank you for a beautiful show." Kay Ottinger (Dancer, Curator for Movement Research @ Judson Church) and André Daughtry (Interdisciplinary Artist and Community Minister of the Arts at the Judson Memorial Church). "I know you as a scholar, and I didn't know you were also such a talented musician and performer! I really enjoyed the playfulness between your music and Oxana's dance in feelingJAZZ. I loved your use of loop technology, and thought about the unusual brain connections it requires!" Dr. Nadine George-Graves ( Associate Prof., Theatre and Dance, Ohio State University). A dance-music-theater piece in memory of the brilliant feminist poet, activist and scholar May Ayim, also known as the "Afro-German Audre Lorde". The piece was originally developed by Oxana Chi as a commissioned work for Humboldt-University (Dr. Natasha Kelly). 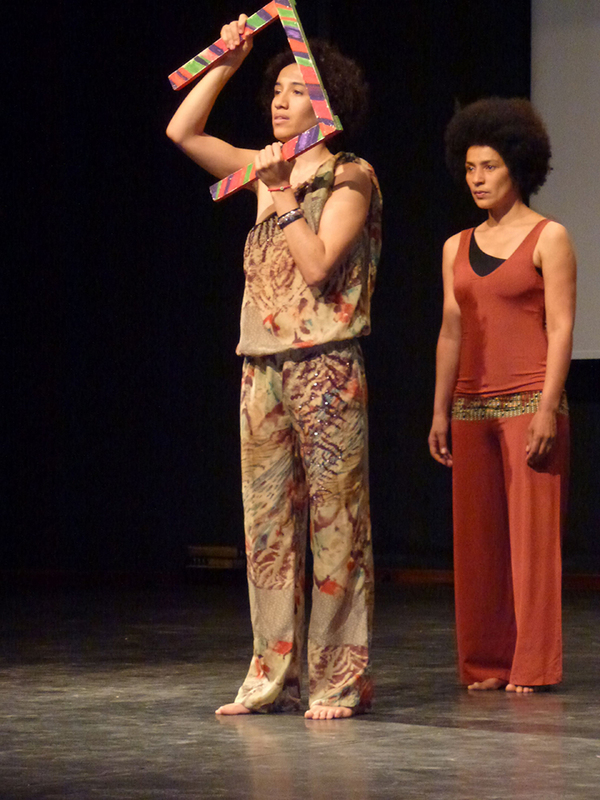 Layla Zami uses physical theater and speech to render a new interpretation of May Ayim's poetry. She accompanies Oxana Chi's dance with her own musical creations, alternating between experimental sounds, dynamic saxophone tunes, and soothing melodies on the kalimbas. An entertaining and meditative show, which creates an intimate and liberating universe. "Overall, a thoughtful, beautifully paced, meditation. Thank you!" "Your performance is incredibly innovative, I was very moved and inspired. We should work together!" "I loved the harmonious communication between Oxana Chi's movements and Dr. Layla Zami's sounds! I could hear Layla's music and sound effects resonating through Oxana's body, and I thought: this is brilliant!" "Like a dream in slow motion expressing different emotions through sounds and body movements. Appreciating the performance requires a slowing down and focusing of attention, almost like being in meditation."